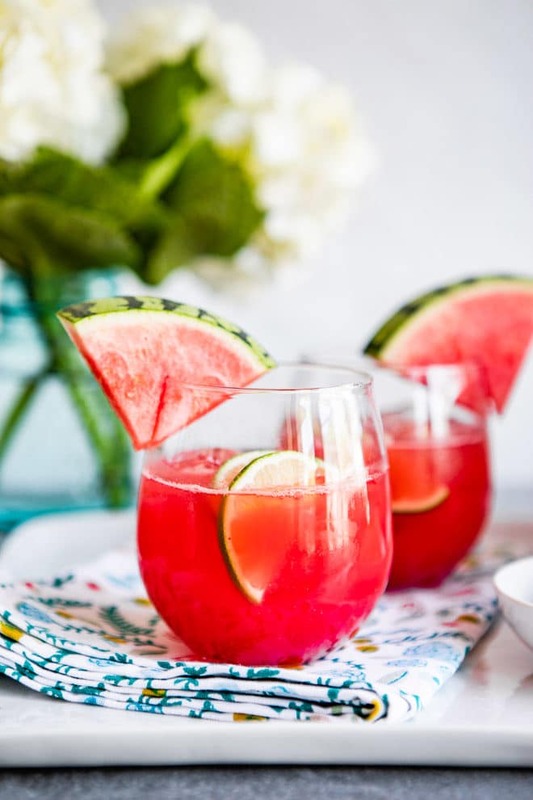 Pretty, pink, and refreshingly sweet, Watermelon Agua Fresca makes drinking water feel like a party! 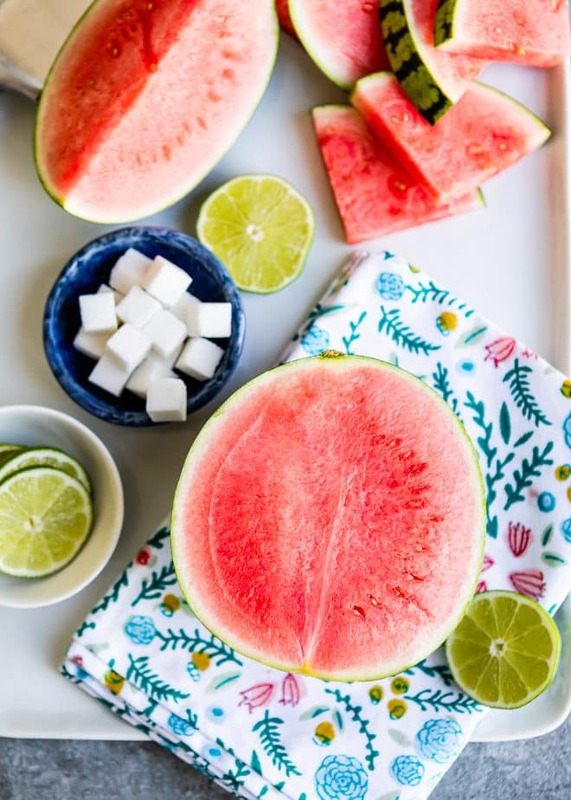 The watermelon version is perfect during the summer months when watermelon is in peak season. 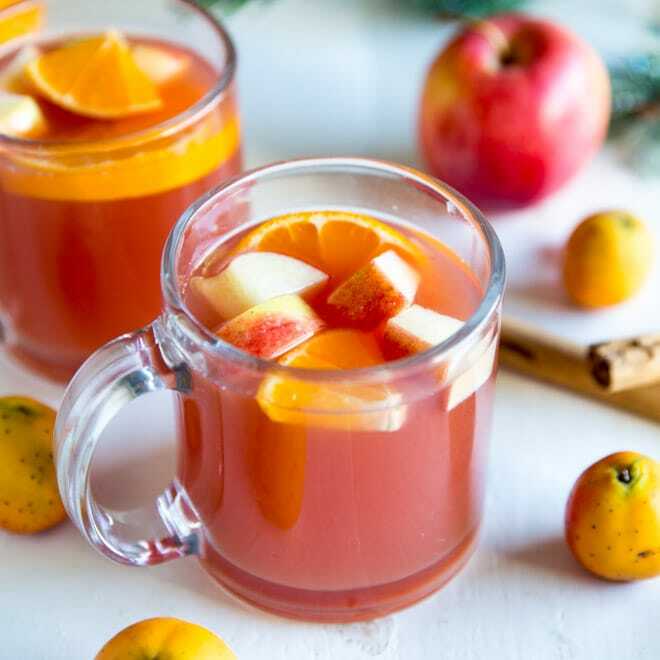 Low in calories and high in flavor, you’ll feel like you’re on vacation with every sip! 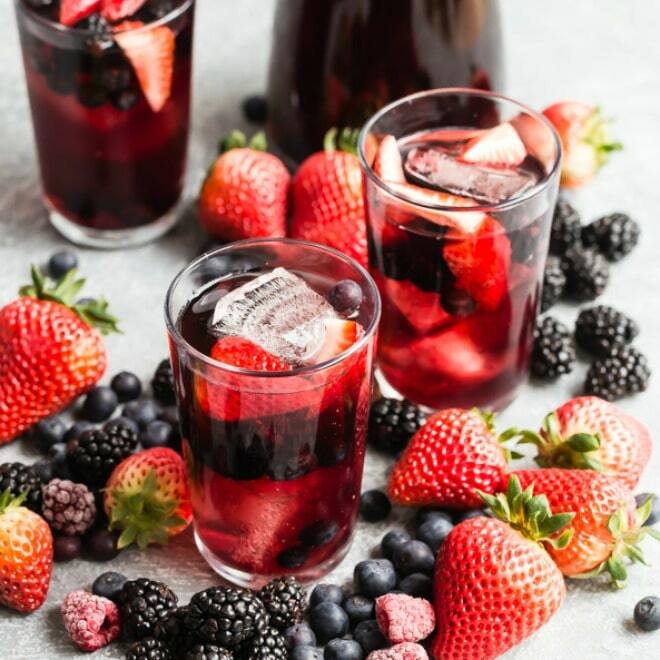 The trick to making the perfect agua fresca is to infuse the water with fruit essence without turning it into a smoothie or slushie. This can be done by blending the watermelon in two batches, ensuring there is enough blender power to get the perfect consistency . 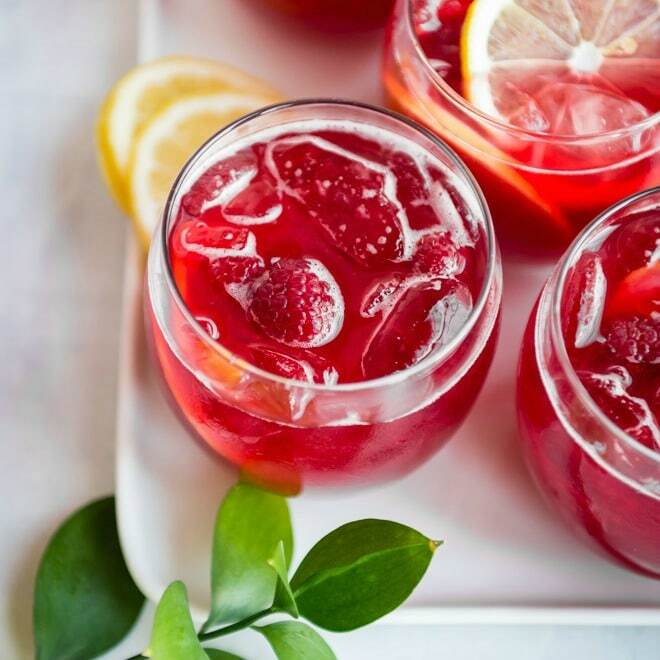 Agua fresca, meaning ​fresh water​, is a non-alcoholic beverage made by blending together fruits, cereals, flowers, or seeds with sugar and water. It is a drink most popular in Mexico, but today we are making it in our kitchen as a healthy substitute for those sugary sodas and juices. 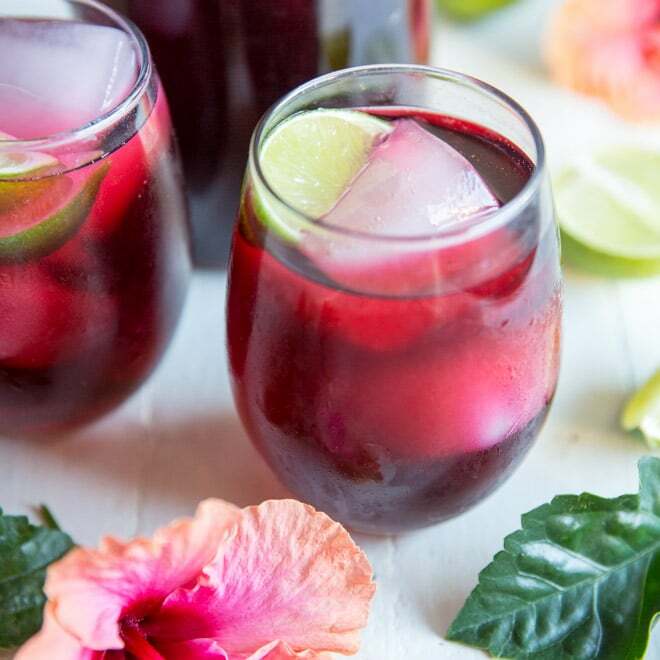 What are other Agua Fresca flavors? 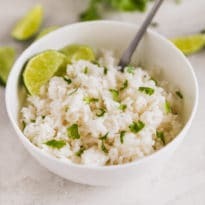 The possibilities are endless, but some of the most popular flavors are cucumber, lemon, lime, pineapple, and tamarind. 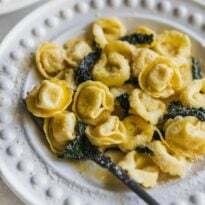 Try adding a few fresh herbs such as mint or basil to really amp up the flavor! Do I have to strain the Agua Fresca? Straining is not necessary, but it is recommended if you prefer it to be ultra-smooth. Simply strain it through a fine-mesh strainer into a large pitcher and pour over ice for a thirst-quenching beverage. Can I make it alcoholic? Yes, of course! The most traditional would be a good quality tequila(“fermented agave cactus” as my buddy Dave says), as this beverage originates from Mexico. But your favorite alcohol is always the best! 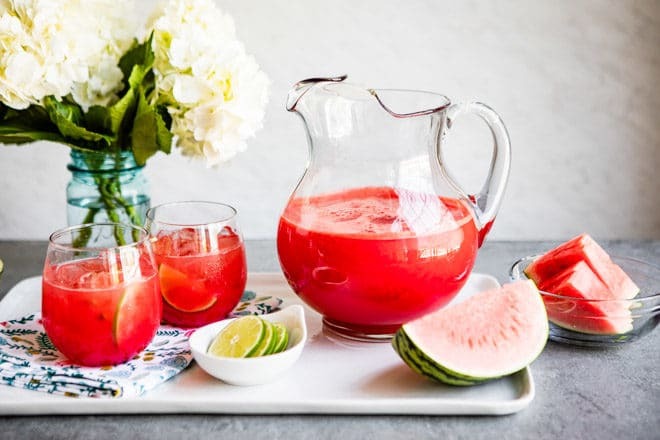 Save this Watermelon Agua Fresca to your “Drinks” Pinterest board! 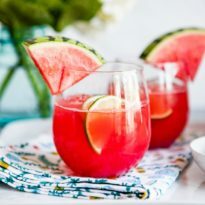 In a blender, combine 4 cups watermelon, 1/2 cup water, 1 tablespoon sugar, and 1 tablespoon lime juice and blend until smooth. Pour into a large pitcher. Repeat with remaining 4 cups watermelon, 1/2 cup water, 1 tablespoon sugar, and 1 tablespoon lime juice. Strain through a fine-mesh strainer if desired (see notes). Chill until serving time. 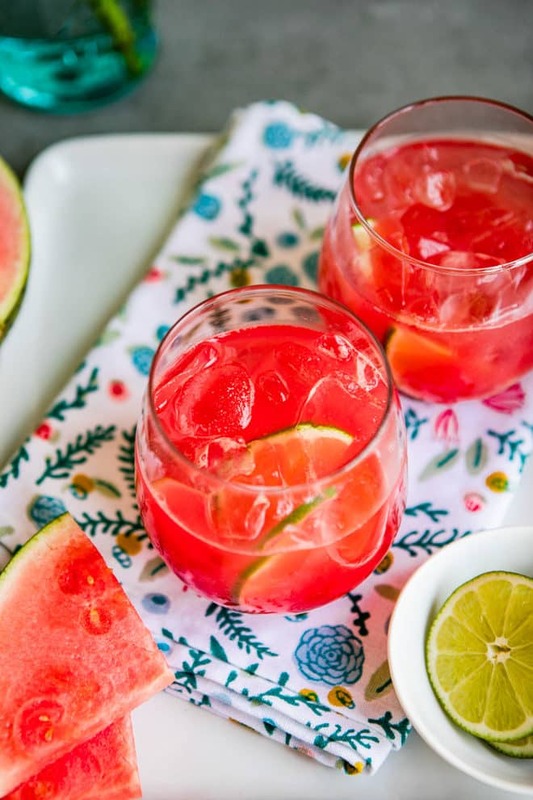 To serve, pour over ice-filled glasses and garnish with watermelon wedges and lime wedges, if desired. Straining is not necessary, but it is recommended if you prefer it to be ultra-smooth. Simply strain it through a fine-mesh strainer into a large pitcher.